No, I didn’t forget! 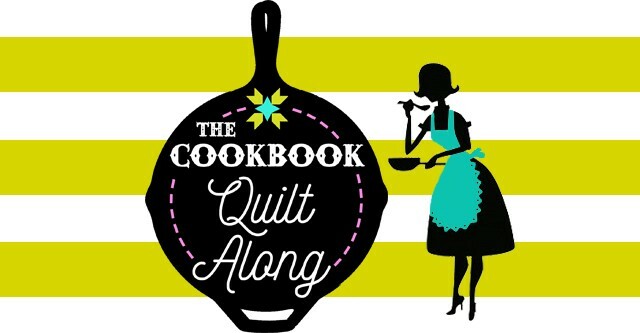 It’s Cookbook Quilt Along day! This week’s block is brought to you by #MyHusbandsWorkComputer, and I want to especially thank my hard drive for going on strike in PC repair land, and taking all of my quilty pics and software with it- ah! We’re back in business though, and here’s your block for this week (for those of you who haven’t already jumped in and started making it!). This block is pure sparkle. I just love the bold shape in the middle, and how the corner diamonds offer just the perfect compliment to those pretty angles. LOVE. Plus is all foundation paper piecing, which happens to be my fav. I know some of you dread FPP though. Luckily we’ll be doing a real mixture this year- some FPP but not a ton. 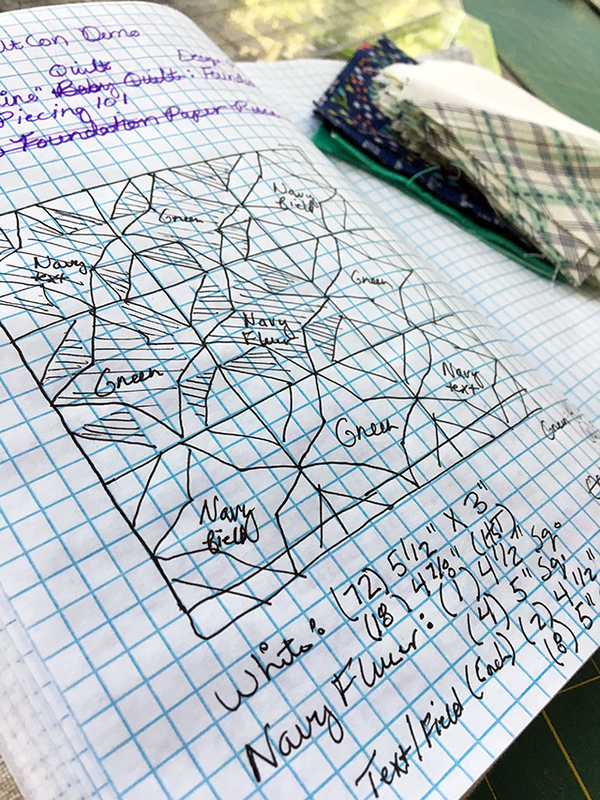 The great news, for those of you who don’t adore foundation paper piecing, is that you can totally customize this block (just like all of the blocks in the book), by using the unit sizing chart in the back. Maybe those corners are a little intense for you? Just choose another unit in the book, look up the sizing for a 3X3 grid, and do an easy swap. Here’s the Shine block with half square triangles used as corner units, instead of the diamonds. It’s much simpler to make, so I’m stitching up a few of them for a quick baby quilt project I’m working on this week. It’s navy and emerald….yes, I’m realizing that I’m a little obsessed with this combo at the moment! Once I got into a rhythm (and set up my little handy FPP arrangement with the ironing board and a cutting surface right next to the machine so all I have to do is turn in my chair), I was able to get all of my units pieced in a couple of hours, and am just in the process of piecing the blocks. Here’s my ultra simple sketch, and I’ll post more pics in a couple of days when I get it finished. 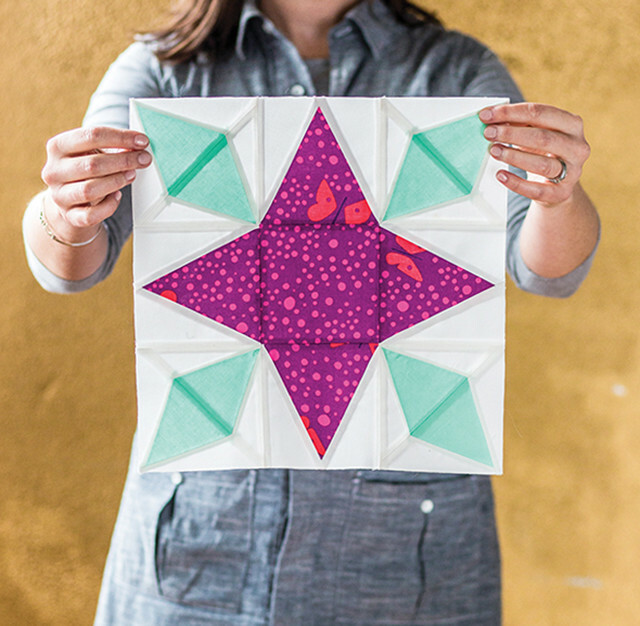 Friends, if you’re just joining in, you’ll need to pick up a copy of The Quilt Block Cookbook to access the patterns, and I found out this week that the book has actually officially sold out- ah! Not to worry- there are still copies floating around with some retailers, as well as a few new and used copies on Amazon, or you can pre-order a signed one from me….they are reprinting now and I’m expecting a new shipment next month sometime (hopefully). Well, that’s this week’s block! 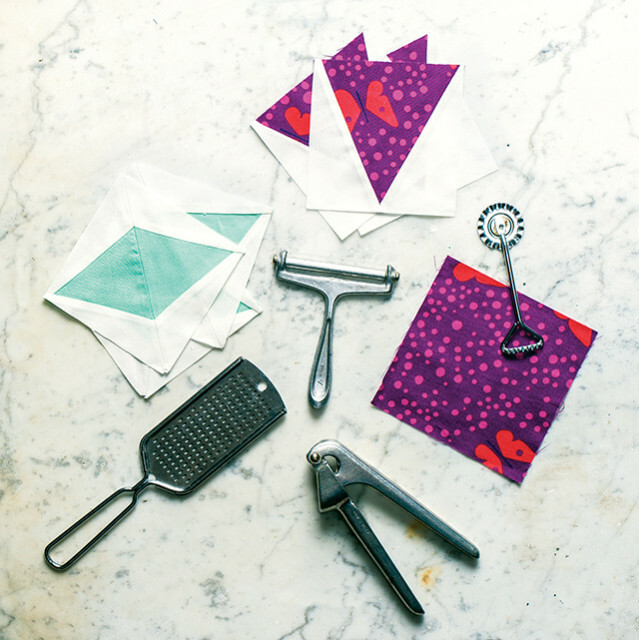 Happy stitching, and don’t forget to post your block on Instagram with the tag #cookbookquiltalong. OMG!!!! I am absolutely ecstatic I received my book today, It is wonderfully put together and love all the yummy recipes thank you so much for your inspiration Amy!! 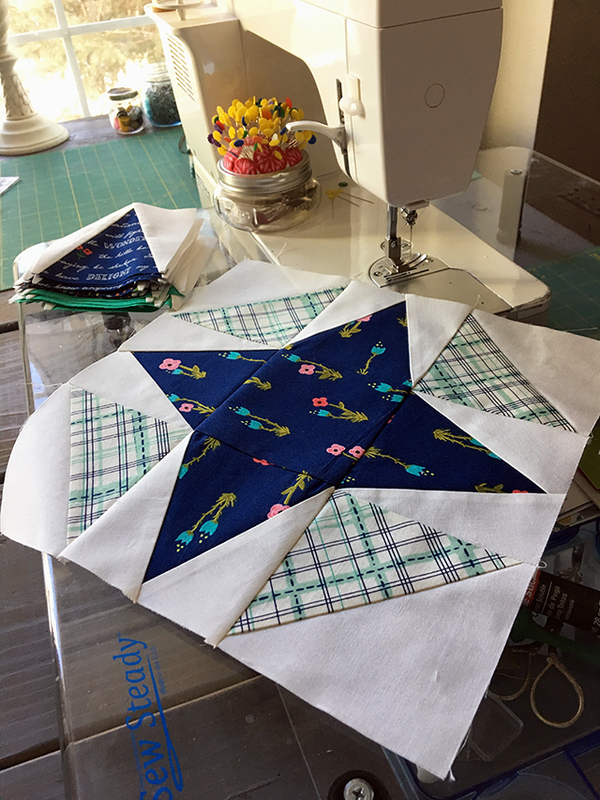 I travel frequently for work and carry my sewing machine and fabrics in my car with me and to reduce the amount of room taken up by this beloved hobby of mine I have been purchasing my quilting books as e-books for a number of years. I really would like to be able to purchase your more recent book but when looking on Amazon I noticed no option for a digital book only printed options. Do you plan on releasing a digital option? Congratulations on your book selling out! It looks great, and so fun, but for me, I have to wait-not a good year to get much sewing done! #4 Shine is not in the erreta, but the diamonds in the template (170) are much narrower than the diamonds pictured in the photo. This triangle looks like the one used in #28, second star. It looks like instead, for #4 Shine, I need to use one half of the A1 template for the wider diamond. You may want to add this to the erreta.